Smithtown was built right after the Civil War ended, and over the years the building has undergone some interesting evolutions. 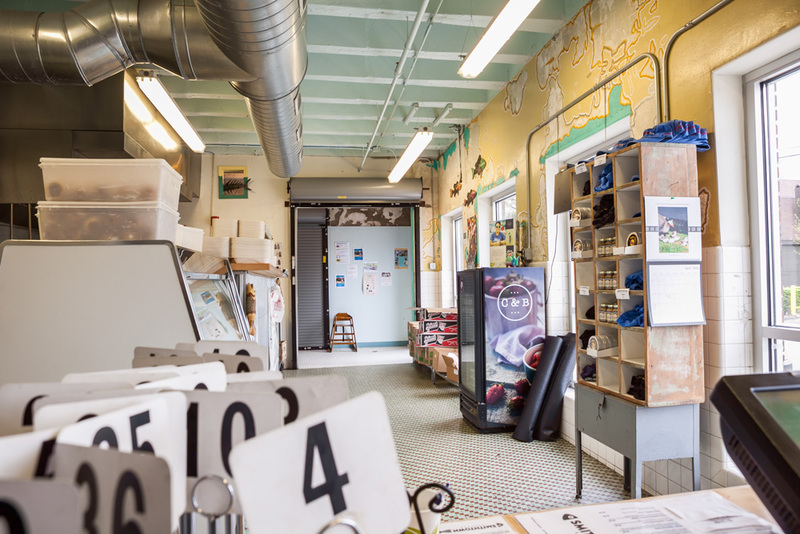 Most recently, Churchill McGee converted the historic warehouse space into what is now known as Smithtown Seafood Restaurant. Two areas were created: a kitchen & servicing area and a prep room. A separation wall was built to set it apart from the food chain (where they raise fish, vegetables, and herbs indoors). Handsome new storefront windows now provide better light, and an access door was added as an additional entrance to the 6th Street Brewery next door. New hoods, appliances, and walk-in-coolers were installed in both areas providing an updated look, and a serving bar was built to accommodate ease in getting customers through the line quickly.